Life is unpredictable and emergencies can happen. Sometimes, minor injuries can lead to major medical issues because proper care was not provided immediately. Care homes are no different to other places of work and in some ways can be more dangerous. As a care home provider it is essential to identify areas of risk and employ measures to counter them. Training can be a practical way of reducing risk but courses specific to the requirements (IE first aid for care homes) relating to an idividual home can be hard to find Our aim here is to make this easier. The life of a care worker is not an easy one. You always have to be on your toes to ensure that the right level of care is provided for your patients. Working in a care home it is quite common to come across someone that exhibits signs of a challenging nature. Left untreated this can be very difficult to manage. Before we move into the detail of how you can deal with this sort of condition, it is important to understand exactly what challenging behaviour is. In short a person’s behaviour can be described as challenging if it puts them or the people near them in danger. Protecting their rights to live in safety. Protecting them from abuse, neglect, and lack of care. Ensuring that wellbeing is embraced and adults are wished, blessed, and given importance. Duty of Care: What is it? 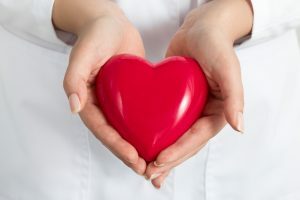 The duty of care, as defined in tort law, is a legal obligation that is imposed on an individual requiring adherence to reasonable care while performing any acts that could potentially harm others. Author onlinecarePosted on October 13, 2017 October 15, 2018 Categories Care Home Management, Care Planning, Elderly CareTags care management, care planning, duty of careLeave a comment on Duty of Care: What is it?